Marvel's tiniest superheroes are heading to 4K Blu-ray and Blu-ray in October. 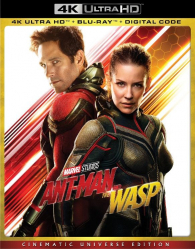 In an early announcement to retailers, Disney is prepping Ant-Man and the Wasp for 4K Ultra HD Blu-ray and Blu-ray on October 16. Likewise, a 4K Ultra HD Best Buy Exclusive SteelBook will also be available that same day. In addition, the film will be released on Digital HD and UHD on October 2 with two exclusive bonus features. In Ant-Man and The Wasp, Scott Lang is grappling with the consequences of his choices, as both the Super Hero Ant-Man and a father, in the aftermath of Captain America: Civil War. 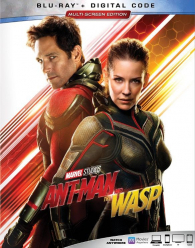 As he struggles to rebalance his home life with his responsibilities as Ant-Man, he's confronted by Hope van Dyne and Dr. Hank Pym with an urgent new mission to rescue Janet van Dyne from the Quantum Realm. 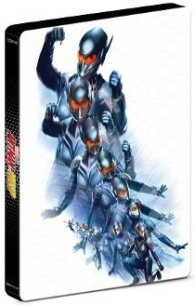 Scott must once again put on the suit and learn to fight alongside The Wasp, all while attempting to serve house arrest, assist fast talking-Luis (Michael Peña) and the X-con Security crew, and thwart the efforts of a new adversary called Ghost (Hannah John-Kamen) and her ally Bill Foster (Laurence Fishburne). The 4K Ultra HD Blu-ray will feature 2160p video and a Dolby Atmos soundtrack. Details on HDR support have not been specified yet. Meanwhile, the Blu-ray will feature 1080p video and a DTS-HD MA 7.1 soundtrack. Subatomic Super Heroes: Hank & Janet – Hank Pym's wife Janet was lost in the quantum realm. Trace the legacy of these characters and the iconic actors who portray them. Quantum Perspective: The VFX and Production Design of “Ant-Man and The Wasp” – Explore the movie's visual effects and production design from a whole new viewpoint, in which every micro and macro detail counts. 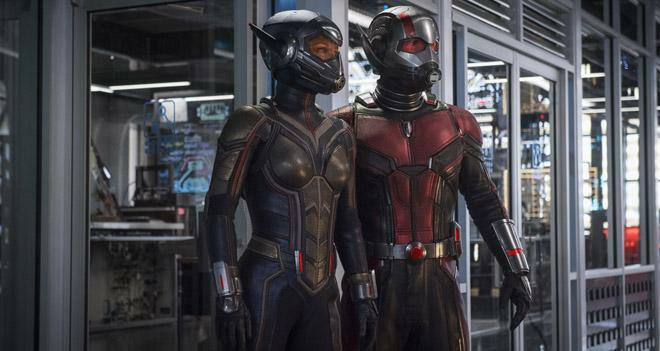 You can find the latest specs for Ant-Man and the Wasp linked from our Blu-ray and 4K Release Schedules, where it is indexed under October 16.